Beer – that frothing golden liquid is one of the oldest beverages developed by man. 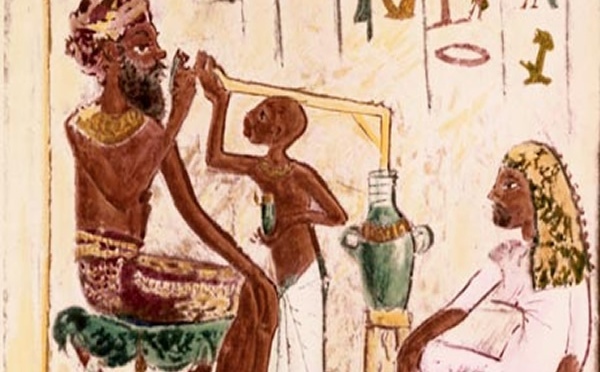 His consumption of this liquor is recorded in history as early as 5th century BC. Since then it has become the most popular beverage the world over. The oldest existing beer recipe contains very few ingredients such as water, barley and bread. Beer which was produced and consumed on a domestic scale began to be brewed on a large scale and became a commercial product by 7th century AD. By the end of 19th century beer brewing became a full-fledged industry. Germany always topped in per capita consumption of beer. So it was only natural they craft a suitable container for drinking beer. 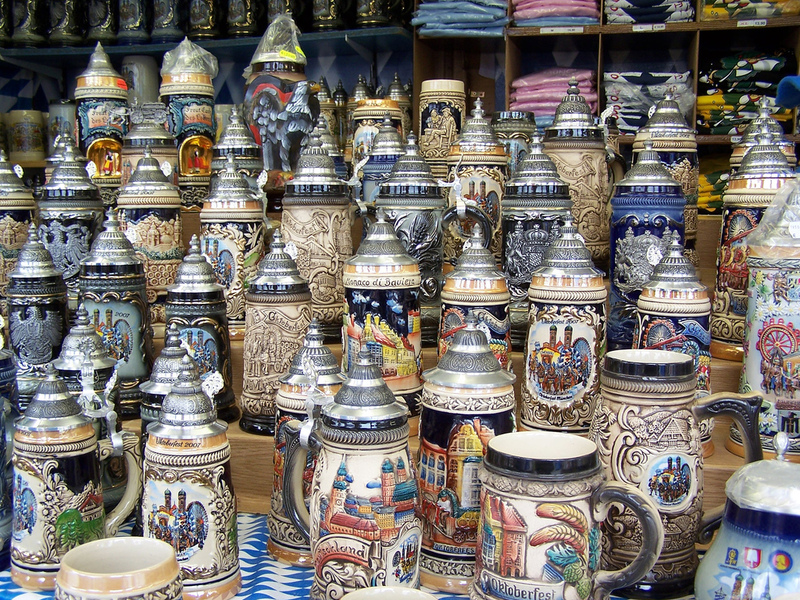 It was in Germany that the beer steins originated. The highly ornamented stone ware became an object of exquisite artistry and craftsmanship. They were handmade and custom made. The Germans were very proud of their beer containers. They made these steins in personalized designs. The important families even made these pewter steins with their family crest engraved on them. They were held in high esteem. When the black plague devastated Europe, the beer mugs were made with lids to protect their contents from the infected fleas. Thus the German beer steins of today were created. The lids were attached with a thumb flips. The bodies of the beer steins were carved with elaborate multicolored designs and this made these German steins a class of their own. Even now these beer mugs are considered to be extremely worthwhile collectibles. These German steins are excellent choices as gifts for your friends and relatives and as collectible items. Whatever be the case, it is very important that you should be able to recognize the original German beer steins with lid. There are quite a number of Chinese and Taiwanese imitations in the market. The original German ware is recognized by their decidedly traditional designs and special kind of lids. Beer steins can serve as exceptional gift items. These are class items which are highly functional. Since beer is an unavoidable drink in any kind of party, gifting your guests with personalized limited edition pewter beer steins is a brilliant idea. Drinking first quality beer in exceptionally designed beer mugs can be a rare experience to your guests. 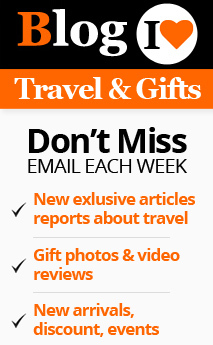 These can be gifted as party favors or gifts to people on their anniversaries, birthdays etc. Gifting a boy with one of these fabulous creations on his 21st birthday will be honoring his coming of age. 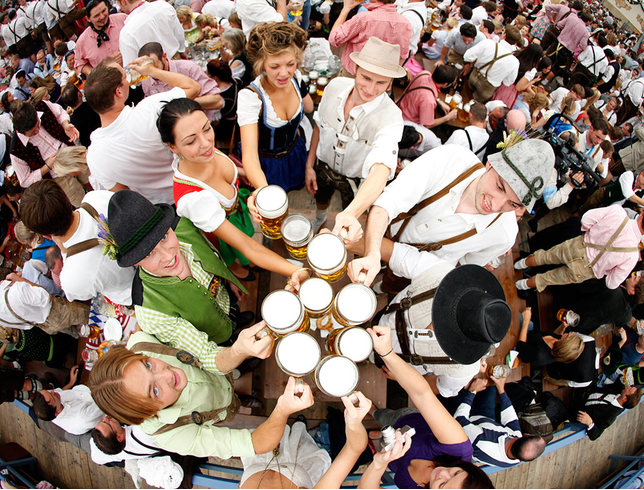 Oktoberfest is a 16 day celebration held in the city of Munich since 1810. A copious quantity of beer is consumed during this festival. In 1810 special beer steins were created. They were of special designs and of limited edition. These were originally one liter mugs, which were very expensive. Since then limited edition Oktoberfest beer steins are produced for every Oktoberfest. They are highly favored by collectors all over the world.